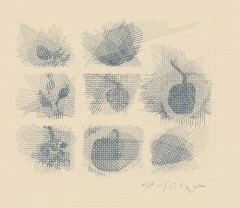 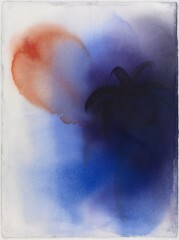 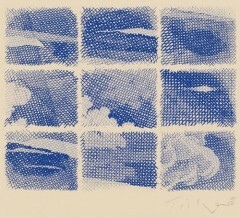 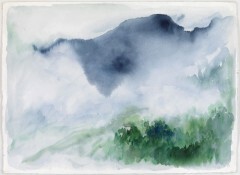 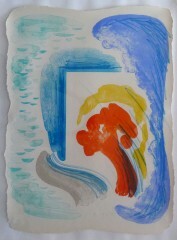 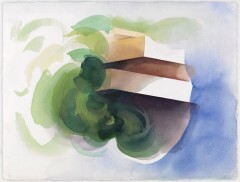 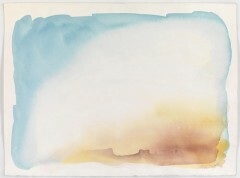 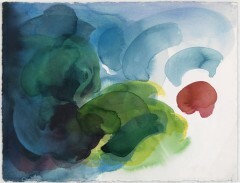 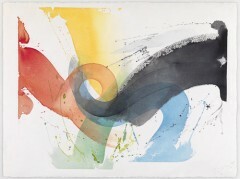 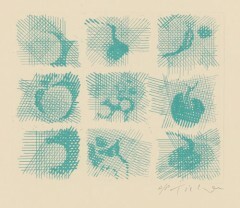 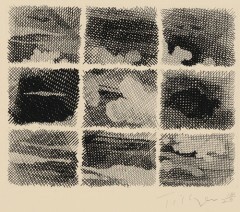 William Tillyer was a printmaker, painter, ceramist, illustrator and teacher. 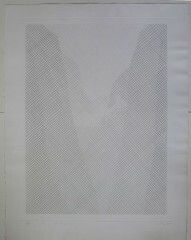 He was born in Middlesbrough, Yorkshire. 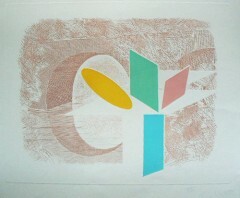 He attended the local art school and the Slade in 1960-1962, painting with Coldstream and etching with Anthony Gross. 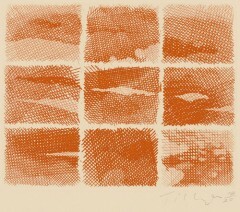 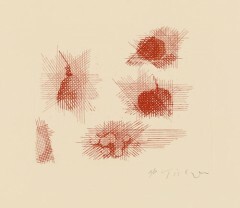 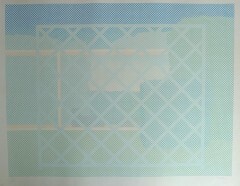 After which he joined Hayter in Paris at the Atelier 17 were he furthered his printmaking skills. 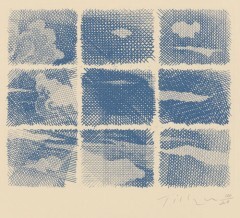 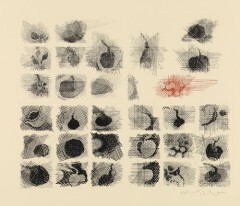 From 1963-1970 he taught part time at Chelsea School of Art and etching at Bath Academy of Art, Corsham until 1972, and at Watford School of Art 1970-1973, In 1981-2 he was Artist in Residence at Melbourne University, Australia. 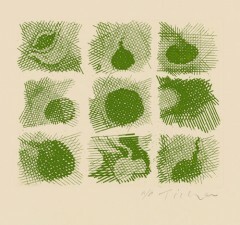 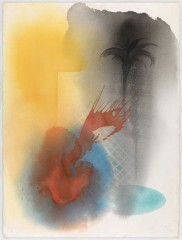 Tillyer travelled widely, travelling around Europe in the early 80’s and South Western America in 1884. 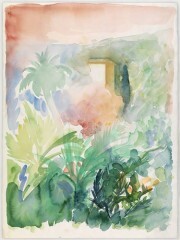 Visiting California and Arizona in 1990. 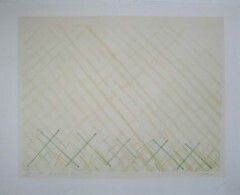 Besides his painting and etching , he also did work for Fulham Pottery. 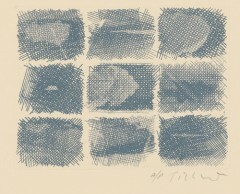 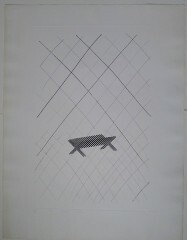 His work is represented in the Victorian and Albert Museum, Arts Council, Tate Gallery, Museum of Modern Art, New York and some Australian Galleries. 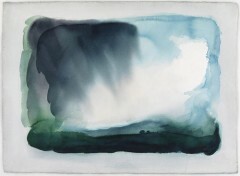 He still lives in Yorkshire. 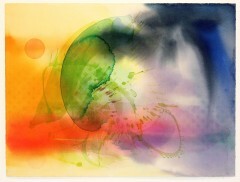 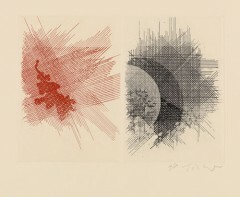 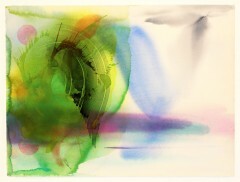 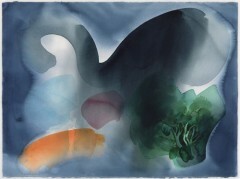 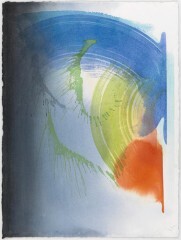 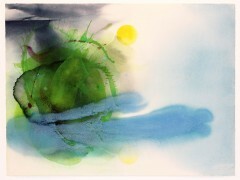 We are pleased to offer original prints by William Tillyer published by Bernard Jacobson Gallery. 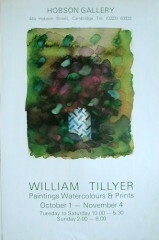 Norbert Lynton describes William Tillyer as “One of the most intelligently original and entertaining painters of our time”. 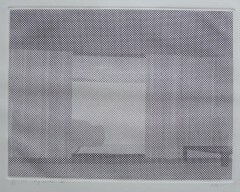 This image demonstrates that perfectly: in the foreground is an abstracted vase of flowers formed from geometric shapes on aquatint plates; the background is pure, intricately detailed, copperplate etching in the traditional method, depicting the old bridge over the river Esk in Yorkshire, near where the artist lives. 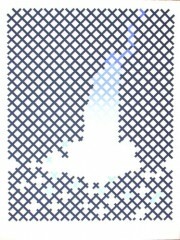 This fusion of two contrasting differences among the medium, subject matter and style is most definitely what old Norbert was on about. 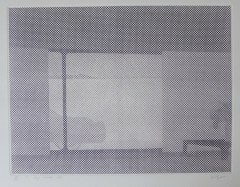 In another part of the series, a balance is drawn by switching the etching process between the subject matter, and a perfectly representational and beautifully drawn vase of flowers appears in front of an abstracted, aquatint Esk Bridge background.